Editor's Note: The helpful hints in this article are useful for anyone writing a story about their family (Click the "Read more" link below the article's beginning on the UpFront home page). While you're trying your hand, why not send in an entry to this or another genealogy writing contest? It's a great way to learn and grow, and maybe even win a prize! Do you have a great story about your family? Any stories of struggles, immigration, or “black sheep”? That story may be a winner. Why not share it in 2500 words or less. The Oklahoma Genealogical Society’s (OGS) Family History Writing Contest provides the opportunity for researchers to share special family stories with fellow genealogists. The stories may be historically or ethnically important, humorous, or just plain interesting. Writing a family history story will preserve that precious memory and history for descendants. There is no entry fee for the contest, and membership in OGS is not required although dues are a low $20 per calendar year for an individual or $25 for family memberships at the same address. Meetings are held the first Monday of each month at the Oklahoma History Center, with a speaker on some area of interest to genealogists. Members receive the OGS Quarterly and are invited to submit free queries as well as receiving a discount on workshops, seminars and other events. Here are some helpful hints for both beginners and the experienced writer. Focus on one event. Write your story from beginning to end without stopping to edit or re-write. Then when you have told the story, go back and clean up the grammar and cut unnecessary words if the story is too long. Even very short stories must have a beginning, middle and an ending. Your family history story should, too. Start with the action – grab your reader by the throat and don’t let go. You need to catch your reader’s interest in the opening sentence. Give the reader a sense of place from the beginning of your story. Where and when is this event happening? What else was going on in the rest of the world that may have influenced your family’s actions? In your editing phase, spell out abbreviations, use complete sentences, watch your grammar and avoid hyphenation. Break the story into paragraphs to make it easier to read. You might ask someone who is good in English to proofread your story before submitting it. Sources are important. Collect any resources you can find to document the story facts such as family Bible, census record, land record, birth and death certificates, photographs, etc. Enter the sources as footnotes or endnotes and attach copies (not originals) of the documentation. Be sure the entry form is attached to your entry and includes: Title of manuscript, whether entering the adult or student category, estimated word count, author’s name and complete mailing address. You should also include your phone number and email address in case the contest chair needs to contact you about a problem with your entry. The entry form is removed before your manuscript is delivered to the judges. Entering the contest acknowledges you give permission for your story to be published, and that information and photos concerning the winners may be published in local media. 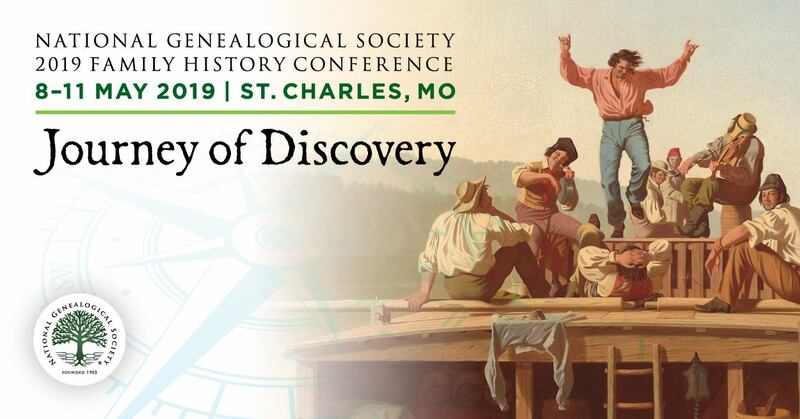 All family historians and genealogists, except OGS Board members, are invited to submit their favorite story for the contest. There is no entry fee and membership in OGS is not required. There will be two divisions: Adult and Student. If enough entries are received, the student category will be divided into elementary and high school divisions. For full details and a downloadable entry form, visit the Oklahoma Genealogical Society’s web site at http://www.okgensoc.org/.